I am a mum of two and how often in the last few years have I asked myself: was it fair to give them a life in this world? How will their future look like? Already now they can see and feel the climate change by themselves and become aware what big flows of refugees mean to their life – escpecially in a big city like Berlin. What would their life look like in twenty years? But on the other hand: they ARE the future. We as parents can do our best in teaching them to respect the environment and how to live as climate friendly as possible, explain the connections between politics, economy and their strong influence on our daily life and helping them to become a self-confident and life-loving personality. // We children often do not, what you are telling us. We do, what you do. And because you adults give a damn about my future, I won't either. My name is Greta, and I am in 9th grade. And I strike against school for climate until the day of election. While she was sitting alone there for the first few days, she now got support from many other people around the world- children and adults. 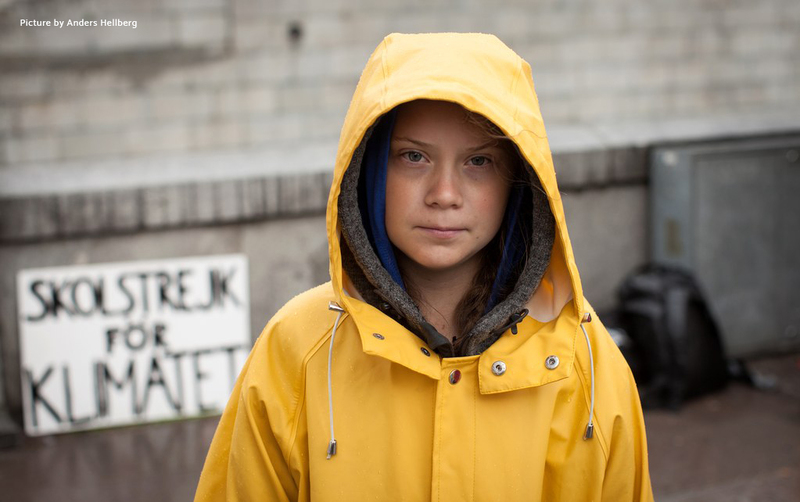 On twitter you can see via #FridaysForFuture how many people already join her.